Updated | Eight months ago I mashed my boots into 4,000 tons of dirt the color of a pumpkin spice latte. All around me stuff was being blown up, huge Lego-like vehicles teetered, and lights flashed brighter than the Las Vegas Strip. No, this wasn’t Burning Man. I was on Mars. This Mars was inside a dust-covered studio soundstage just outside Budapest, Hungary. The voice belonged to Ridley Scott, the British director of Alien, Blade Runner and Gladiator fame (and Exodus: Gods and Kings infamy). The orange dirt under my boots was the setting for his latest project, The Martian, a Matt Damon vehicle (and his vehicle is a Mars rover) scheduled for theatrical release October 2. The 3-D epic, a Robinson Crusoe-esque survival tale set two or three decades in the future, is based on a 2011 online serial book turned best-selling novel by former AOL computer programmer Andy Weir. Mark Watney (Damon), an astronaut exploring the fourth rock from the sun, is impaled by an antenna during a dust storm and left for dead by his crew. Since he has no way to communicate with NASA and the next mission to Mars isn’t due to arrive for four years, he must tough it out in a brutal environment with just 10 months' worth of supplies. Watney uses all of his scientific know-how to grow food, secure water and alert NASA that he’s still alive. A resourceful mechanical engineer, he figures out a way to turn his pee into rocket fuel. NASA might be the book’s biggest fan, and Weir told Wired the agency views the project “as an opportunity to re-engage the public with space travel.” Last May, The Washington Post observed: “Andy Weir and his book The Martian may have saved NASA and the entire space program,” citing NASA's struggle to get enough funding for Mars missions and the huge PR boost the novel gave the agency. NASA is hoping that the film adaptation of The Martian will be a Jupiter-sized smash and that its success will trigger renewed interest in space exploration, just as Stanley Kubrick’s 2001: A Space Odyssey did a half-century ago. From 1959 to 1974—the space race era—NASA launched Mercury, Gemini, Apollo and Skylab—30 manned missions in 15 years. But since then, the agency hasn’t done much new exploration with humans, instead focusing on the International Space Station, a $150 billion shared laboratory whose biggest recent contribution to science may have been allowing astronauts to eat lettuce while orbiting 200 miles above Earth. According to a 2013 poll commissioned by Boeing and the nonprofit Explore Mars, 75 percent of Americans want to double NASA’s budget to ensure humans get to the red planet soon. NASA hopes to send people there by the 2030s and insists it could meet that goal if the Senate approves President Barack Obama’s proposed $18.5 billion NASA budget for the 2016 fiscal year (a $500 million increase from 2015). 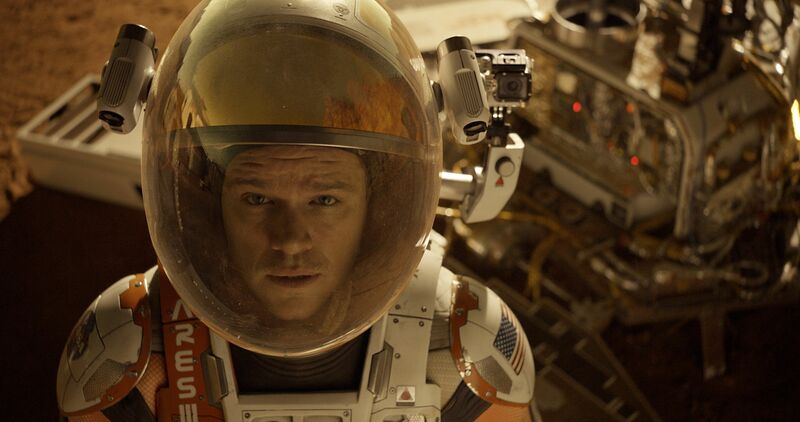 Can a film about a man on Mars really help a man get to Mars? Andy Weir, the author of The Martian, may seem like an unlikely fount of space exploration wisdom (he's afraid of flying). The book—essentially a 369-page math problem with a funny protagonist—began as a serial posted on his website. The novelist intended the book as a “technical book for technical people,” according to a statement. Eventually, it became a hit Amazon e-book. Random House came knocking. Then Hollywood. Drew Goddard (The Cabin in the Woods, World War Z ) wrote the screenplay. As of September 14, it was the No. 1 trade fiction paperback on the New York Times best-seller list, where The Martian has sat for 45 consecutive weeks. The science that informs the story is surprisingly spot-on, considering that Weir says his research was conducted mostly on Google. Ferren thinks the best kind of space movies capture the public’s imagination with “the correct sensibility.” He was first inspired by Kubrick’s 2001, a 1968 sci-fi classic that plenty of astronauts, engineers and scientists cite as the launchpad for their careers. According to Bert Ulrich, NASA’s film and television liaison, because Kubrick and his team did extensive research with futurists and scientists and even IBM (at the time, the world’s largest computer company) to envision what space exploration might look like in the 21st century, they were able to predict a lot of what really came to be. “Science fiction, especially in films, is continually an influence on real science,” Ulrich says. The mellow-voiced HAL could easily sub for iPhone’s Siri. The tablets used by the Jupiter mission look startlingly like iPads; the videophones foretold Skype; and the design of the space helmets, spacesuits and space stations was remarkably prescient. The amazingly accurate futurism of 2001 may have spurred NASA to partner with Hollywood in the years since. Recent partnerships include Gravity (astronaut Cady Coleman called actress Sandra Bullock from the International Space Station to advise her on the part), Tomorrowland (Ulrich says NASA helped give director Brad Bird a “general visual context” for the retro-futuristic saga, drawing from 1960s NASA culture) and Transformers: Dark of the Moon (the film crew practically moved into Florida’s Kennedy Space Center for a week, largely because director Michael Bay had worked with NASA on 1998’s Armageddon). Yet NASA employees have spent more energy on The Martian than possibly on any other Hollywood collaboration. Staff from many NASA departments consulted on the film, from script development through principal photography, and are now helping with marketing timed to the theatrical release. Ulrich says NASA’s collaboration on the design and technical details was “more intense” than on other films. The partnership began with Ulrich but soon expanded. Among the NASA staffers who served as technical consultants on the script were James Green, the NASA director who works with the Obama administration and Congress on all robotic space travel—including the planning for future Mars missions—and Dave Lavery a NASA exec who works with Mars rover missions like Curiosity and Opportunity, as well as the future rover mission Mars 2020. Rudi Schmidt, a scientist with the European Space Agency, was hired as an on-set technical adviser. As a result, NASA left its mark all over the production. Screenwriter Goddard visited the NASA Jet Propulsion Laboratory, a federally funded center owned by the California Institute of Technology that develops robotics for the space agency. 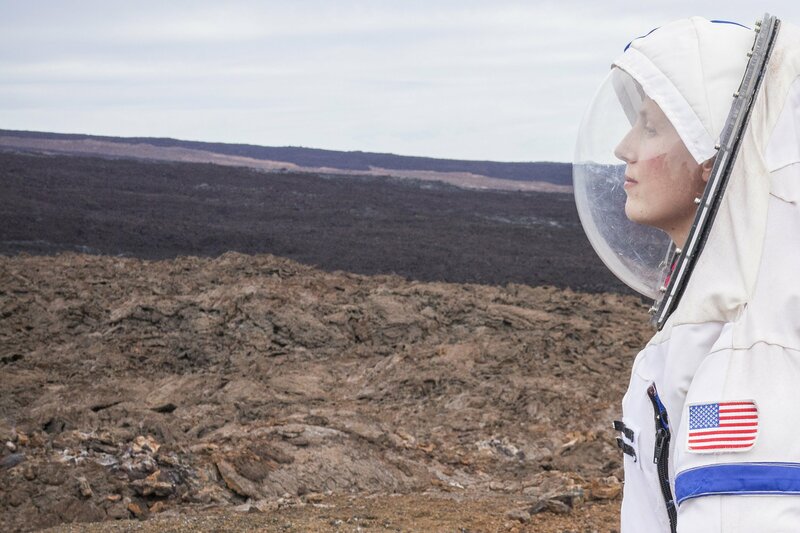 NASA also facilitated a meeting between costume designer Janty Yates and a curator of the Smithsonian Institution in Washington, D.C., which houses a fascinating collection of spacesuits dating back to the beginning of the Mercury program. Jessica Chastain, who plays a NASA space crew commander in The Martian, shadowed astronaut-chemist Tracy Caldwell Dyson, a mission specialist on Space Shuttle Endeavour Flight STS-118 in August 2007 and part of the Expedition 24 crew on the International Space Station in 2010. Actor Chiwetel Ejiofor, who plays a NASA director, says he spoke to staffers at NASA and the JPL to beef up for the role. Production designer Arthur Max was given extensive tours of NASA facilities in Houston as well as the old Mercury and Apollo mission control centers and the current center that tracks the International Space Station. Max, who has worked with Scott since 1985, admits he wouldn’t have been able to create The Martian sets without NASA guiding him. More recently, NASA astronauts and administrators have appeared on panels at Comic-Con and at the JPL with Scott, Weir and Damon, often comparing The Martian to NASA’s plans. The film’s overlap with NASA’s current goals is undeniable. Damon just signed up to have his name etched on a silicon chip on NASA’s InSight lander that’s scheduled to reach Mars a year from now. Both the NASA and 20th Century Fox Twitter handles are using the hashtag #JourneyToMars to promote the fictional mission to the planet and the real potential one. In October, NASA will host a workshop to choose 10 possible landing sites on Mars for human missions. 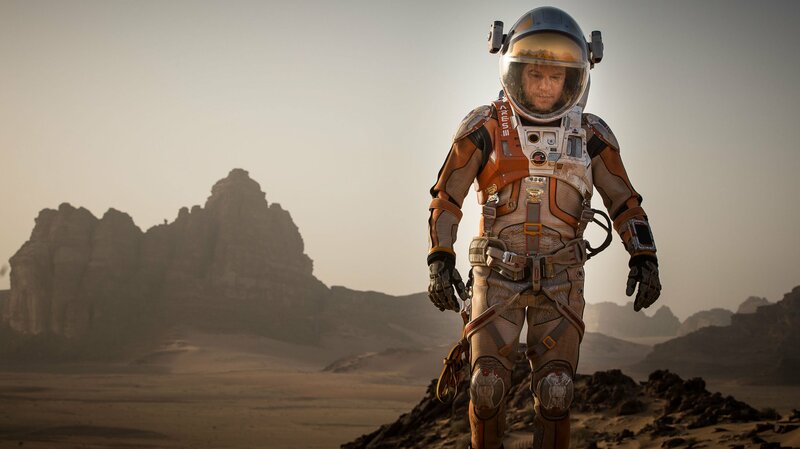 The workshop is intended to help connect the movie The Martian with actual Mars exploration progress. Of course, the best movies about Mars have been filmed by NASA’s rovers, Spirit, Curiosity and Opportunity—the ultimate collaboration between science and art. 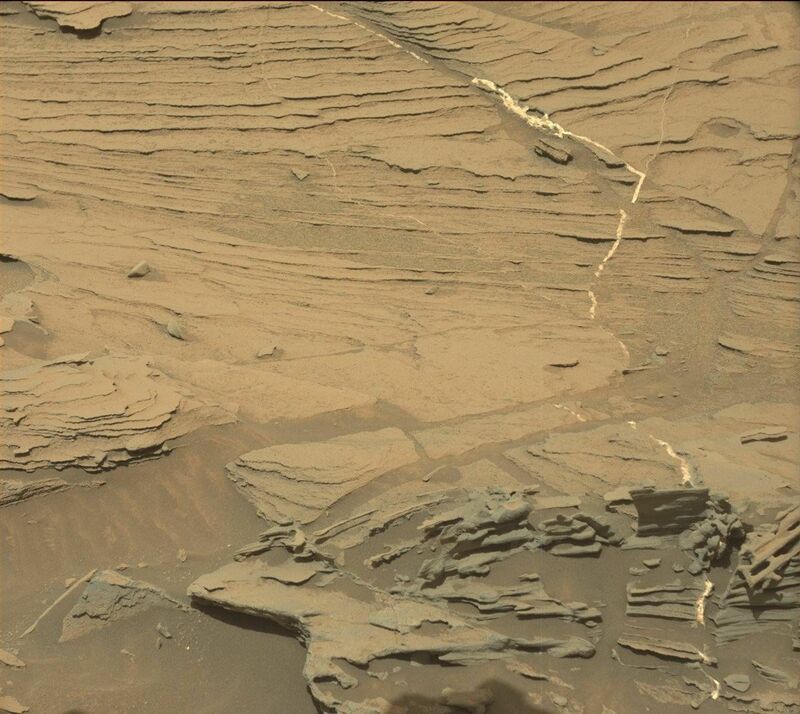 Mars is the only planet on which robots can become auteurs, and, in fact, actual rover footage has been incorporated into The Martian. 20th Century Fox brought U.K. company Territory (Spy, Mission: Impossible–Rogue Nation) onboard to work with Scott’s graphic designer. 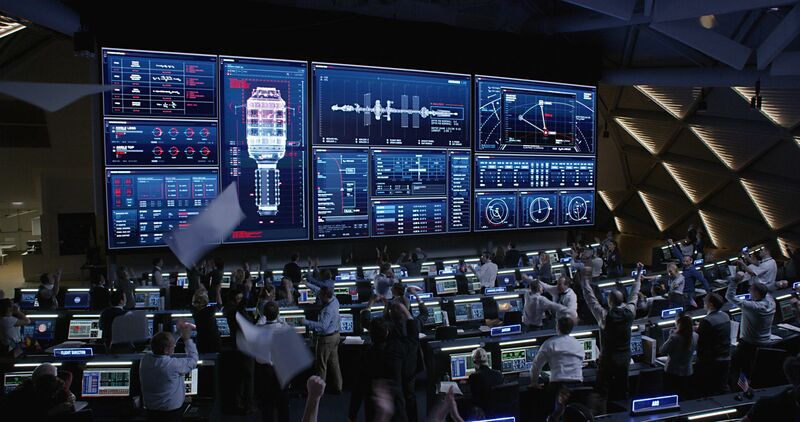 Lots of graphics, high-resolution satellite imagery and stock footage from NASA appear on control screens and monitors in the film. 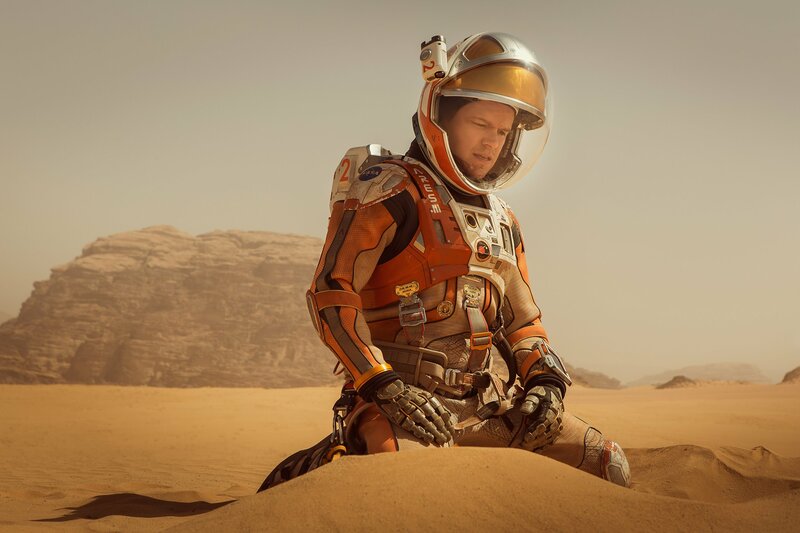 NASA is praying The Martian will last a lot longer than that in theaters. 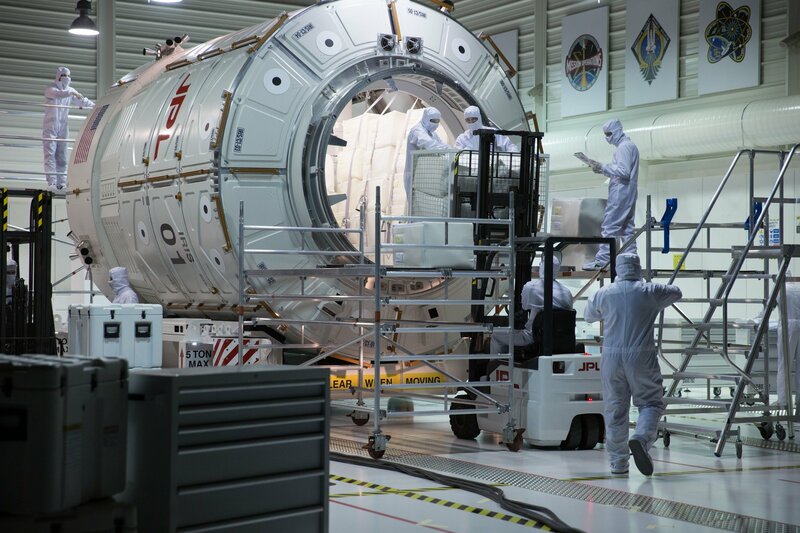 Correction: A previous version of this story incorrectly stated that the Mars 2020 mission will be manned. It will be an unmanned rover.